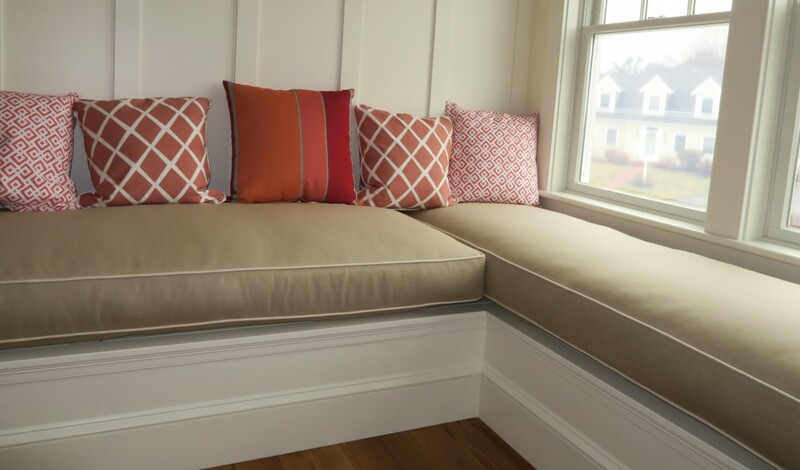 As a Cape Cod upholsterer, my business takes me to Rt. 6A or “The Old King’s Highway” on many occasions. The scenic highway travels though the largest historic district in the Nation. Yesterday I drove to Dennis Village to meet Don Peccerill at Leslie Curtis Antiques and Design. Leslie and Don’s store is located in the heart of Dennis Village right on Rt.6A, The Old King’s Highway. We loaded up a beautiful, custom-painted table by Molly Plaster and with one more stop to pick up Leslie, we made our way from Dennis to Orleans on The Old King’s Highway, to make patterns for three window seat cushions. With all the rain we’ve been getting on the Cape, the flora is spectacular and the fauna is pretty good too. For some reason, this particular trip along Rt. 6A made me realize that no matter how many times you make the drive, there is always something new to discover about the highway. It’s either a business, house, or barn behind a house you’ve never seen, or a view of the marsh with an Osprey nest you’ve never seen, or horses in a meadow, or plants in someone’s magnificent garden you’ve never seen, or an antique car you’ve never seen before. I could ramble on and on, but you get the point. The Highway is ripe for new discoveries at any time of the year. Feel free to reply with your favorite Old King’s Highway stories. You don’t even have to be an upholsterer! Now that the Internet has become a mainstream everyday tool, I find myself driving greater distances for jobs. Before people started finding me on the Internet, my territory was about a 20 mile radius from my upholstery shop. Not now though, now my territory is all of Cape Cod, which is about 70 miles long from Falmouth to Provincetown. Last week I was in Provincetown on a job, this week I’m in Pocasset, near Falmouth. There’s the 70 miles. I’m not complaining though. With the slow economy, the added work area is a welcome opportunity. I think most people looking for an upholsterer on Cape Cod are likely to use the search criteria “upholsterer cape cod”. Less likely will they use “upholsterer dennis, ma” as the criteria, like they would if using the paper Yellow Pages. The beauty of it though, either of those searches will find me. As a result, I’m being contacted by people from all over the Cape and beyond. My new, Internet induced, 70 mile territory. Hey, maybe GM will start making a hybrid work van. I could use 50-60 MPG vs the 16-18 I’m getting with my full size Chevy Express Van. When the economy recovers, I’ll be one busy upholsterer, driving from one end of Cape Cod to the other!